When providing Live Chat as a service channel, it is imperative that you have all the information you need at your finger tips to answer any question a visitor may have - so we completely rebuilt the details pane, and worked out how to best pull data from all of your custom systems right into the dashboard. 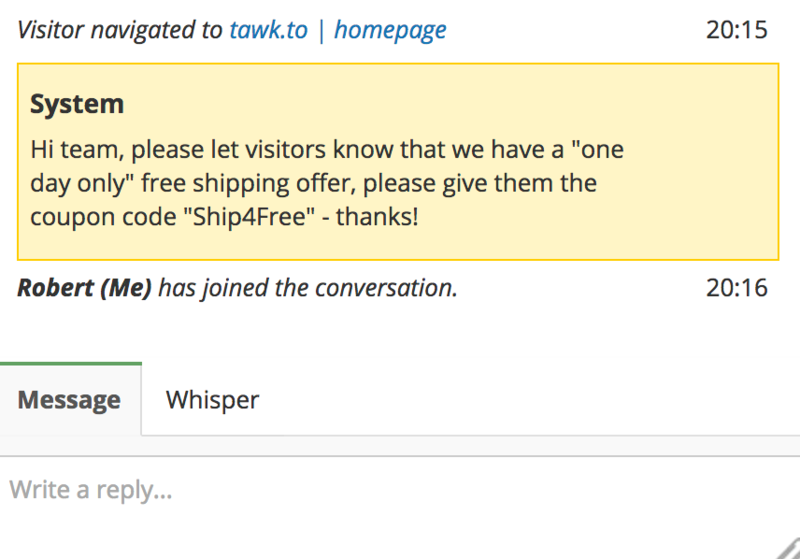 Tabs let you pull in any custom text or a HTTPS Url directly in to a chat via the details pane. Eg: You may have your own catalogue of products that you would like your agents to be able to search through, or you may have custom text that you need to ensure agents have access to. 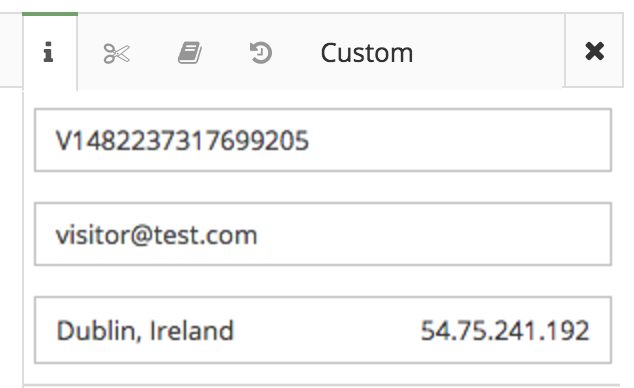 Quickly add a bunch of custom tabs, and either select URL or Text to start adding tabs to your details pane. Help agents by building an internal Knowledge Base they can refer to instantly — without having to leave the chat. 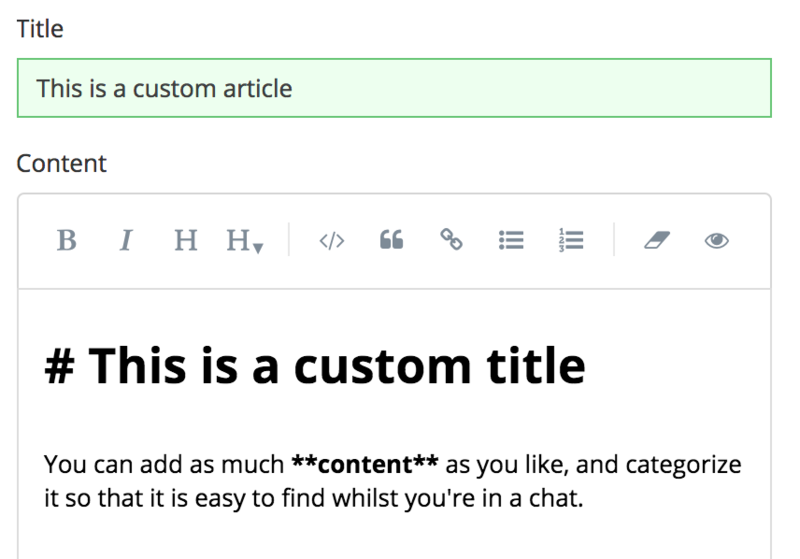 The Knowledge Base allows you to create and categorize endless amounts of custom content, and then can access it directly from within Tabs, so that your agents have all the information they need to wow your customers. Improving customer satisfaction and reducing support requests. Some times you absolutely must get an alert out to agents each time a new chat comes in — that's Agent Alerts. Having a flash sale? Did a server go down? If you need to ensure your agents are alerted to important information at the commencement of each chat, you can send out an agent alert. Perfect for bringing important site-specific news to attention when answering on behalf of multiple sites.